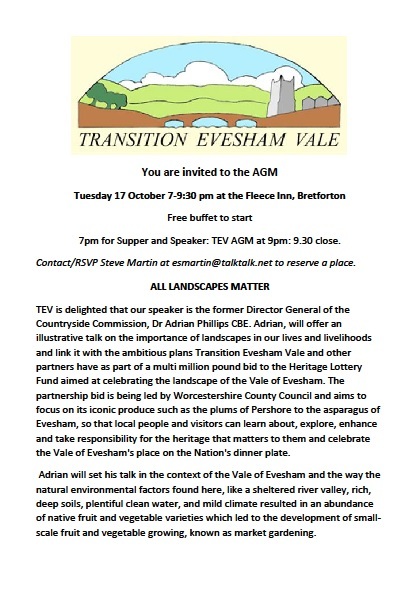 Please see below invitation to the Transition Evesham Vale AGM. It promises to be an enjoyable and enlightening evening – we hope you can join us! Previous post: What’s your footprint?